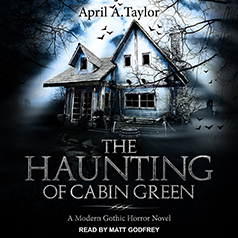 Welcome to Cabin Green, where the setting is familiar, but the story is completely unexpected. A terrifying slow-burn that combines the literary Gothic prose of Shirley Jackson, Ambrose Bierce, and Thomas Tryon with the "what's really real?" aspects of The Shining. Welcome to Cabin Green, where the setting is familiar, but the story is completely unexpected. A terrifying slow-burn that combines the literary Gothic prose of Shirley Jackson, Ambrose Bierce, and Thomas Tryon with the "what's really real?" aspects of The Shining. Cabin Green has also been compared to the devastation of Hereditary and the socially progressive, ambiguous approach of Paul Tremblay. Going to Cabin Green alone after the death of his fiancée was Ben's first mistake. His second mistake was tempting fate by saying, "There's no such thing as an evil building." Now he's caught in a nightmare of his own making deep in the woods of Northern Michigan. Even worse, a family history of mental illness makes it impossible for him to know if the ghosts haunting the cabin are real or all in his head. This modern Gothic horror story takes the listener directly into Ben's hellish experience. Is he crazy? Is a ghost haunting him? The only way to find out is to make it to the end of this deep, dark thrill ride that's filled with more twists than a roller coaster.